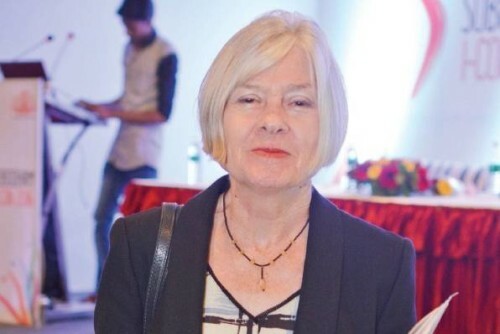 Prof Sally Casswell, who chairs the Global Alcohol Policy Alliance (GAPA), directs your attention to two issues Kerala needs to be cautious about: one, the consequences of opening more beer and wine parlours, and two, rising alcohol consumption among women. ‘’You should really be careful about beer. It isn’t a good idea to have a low tax regime on it,’’ said Casswell, who is in the city attending I-Con 2016, an international conference organised by Excise Department’s Subodham Project on alcohol and substance abuse policy. ‘’It is important to ensure that policy steps do not end up replacing one problem with another,’’ she said. GAPA is a network of NGOs and public health agencies on alcohol-related issues. Casswell’s observation is of special significance to Kerala at a time when the UDF government has allowed shut-down bars to mutate into beer and wine parlours. ‘’Alcohol-related harm is not tied to any particular beverage. People can still take large quantities of beer, large quantities of wine and still run into problem,’’ she said. Casswell, who is from New Zealand, points to the Chinese experience. In 1965, beer accounted for a mere two per cent of total alcohol consumption in China. By 2005, it had risen to 36 per cent. The increase in the number of women drinkers also is a worrying trend, she said. ‘’When women get financially and socially independent, it seems to be an inevitability. We need to be cautious about this issue,’’ she said. The drinks industry, she said, today focuses on women as a fast growing segment of consumers. Making alcohol expensive and banning alcohol advertisement and promotion are cost-effective ways for governments to check abuse, she said. Equally importantly, international attention should focus on how the drinks industry uses social media platforms for alcohol promotion, Casswell said. ‘’Social media is full of alcohol promotion. It is a very interactive platform which the drinks industry uses with great alacrity. It is an issue of great concern,’’ she said.